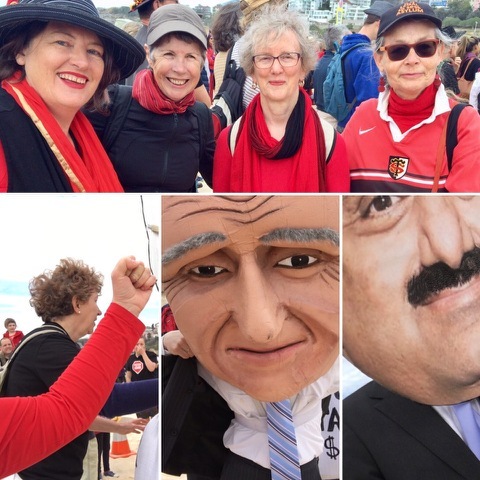 Update on the campaign to #StopAdani - your help is needed! On 22 January 2018, the newly elected Queensland Cabinet will make a crucial decision in the fight to #StopAdani. On that day, they will decide whether or not to veto a loan from the Northern Australia Infrastructure Facility (NAIF) to a company called Aurizon to build a rail line for Adani's dirty coal mine. Aurizon is a huge coal freighting company. They’ve applied for a massive taxpayer-funded loan to build the rail line for Adani. Premier Palaszczuk has vetoed the $1 billion loan to Adani, but not to Aurizon. If Aurizon gets this loan, then Adani will be back on the front foot. 1. Email Queensland Cabinet and share! Send this pre-written email to Queensland Cabinet. Once you've sent your email please share it with your friends and family, encouraging them to send it too and share it on your group's Facebook page. If you're too far from a Cabinet member, organise a meeting with your local MP. Mary Tinney rsm is in the "N" in this incredible photo taken in Brisbane. 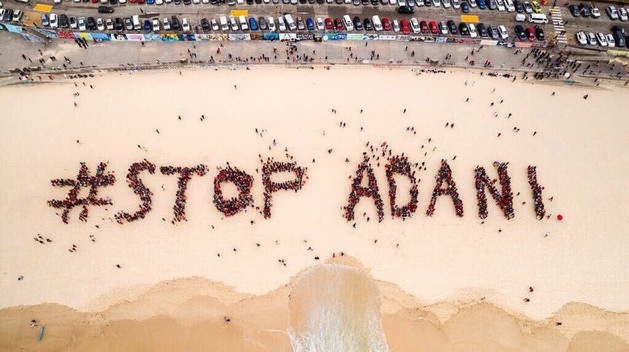 The #StopAdani sign on Bondi Beach, NSW - Tricia Nugent rsm is in the "N". If you have a photo from the Big Day of Action that you'd like to share, send it to us and we'll be glad to include it here!